I don't remember how exactly I got to know about BuyInCoins, but all I remember was that I needed a simple experimental brush set at a lower price and I logged into BuyInCoins website. My first impression was "Awesome dirt cheap prices and FREE SHIPPING all the way from China :) :) :) ". But the cautious shopper in me raised suspicions about the quality and the genuineness of the products?? So to be on safer side I just ordered a 7 piece brush set, eye lash curler and few itsy-bitsy things summing up-to a bill of 500 INR. I remember reading on the website for the shipping time to be around 20 days and also as the items were not of much interest to me I soon forgot about it. After a few months I wanted a full color eye shadow palette at a low cost for fun and experiments. The 1st name that popped into my mind is 'BuyInCoins' :). I have searched the site and was surprised to see so many colorful palettes in the site. But again as I am dealing with eyes I was apprehensive about the quality. 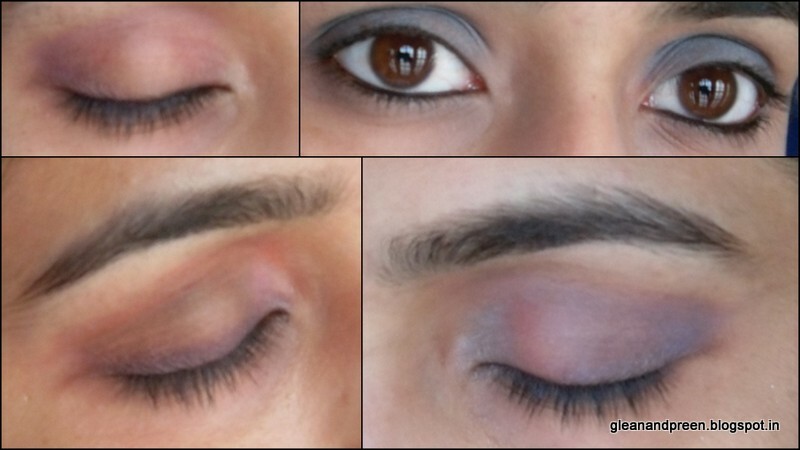 A quick browsing in YouTube for the reviews proved that these palettes wont effect the eyes in any way :). 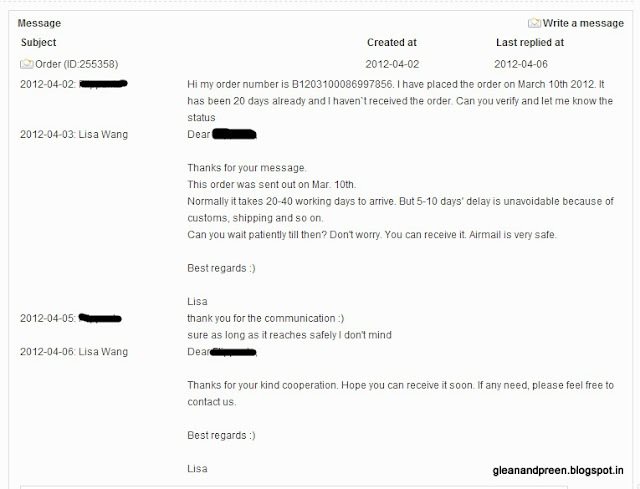 So without any more doubts I placed the order for the 120 color palette on March 10th 2012 :P. Like my 1st order I expected it to reach in 20 days but it has arrived on April 10th 2012. Exactly a month :). I wanted to post these pictures immediately but couldn't get time until today :(. In-spite of the layered packing 4 eye shadows broke :(. But never-mind the broken colors are not so drool-worthy to my taste :P.
The second picture is the collected broken powder and trust me the shadow is so satiny soft to touch :). But the full quality of the palette is still under test :P so stay tuned for the review :). Meanwhile just take a sneak-peek at some of the random looks tried :). All of them are subtle looks and done in 2-3 mintues. Has many categories like 'Health & Beauty', 'Electronics', 'Computers', 'Home', 'Fashion' etc to shop from. Shipping time varies from 20 to 40 days. Immediate response to queries through Customer Care. Well website gets hacked easily :(. No harm to us but yes the site will be down at times. Once the site is up and running the BuyInCoins sends email communication regarding the same. Final Note: Well BuyInCoins is a safe place to shop for low priced average quality products with free shipping. It is suggestible to shop for products you want to experiment with before indulging in high end brands :). hw much is that vish? yay! thanks for this review! i ve browsed through the website numerous times but hesitated to order! Now i will. Thank god you did this post..i have ordered a palette from this site and its been 2 weeks now and I was becoming paranoid!!! hopefully my goodies will also reach me soon!!! i ordered like 9-10 times frm this site n it was always a pleasant experience...i have this palette toooo...any idea how good the new brushes are?? ?